Teachers, Healers, Innovators. 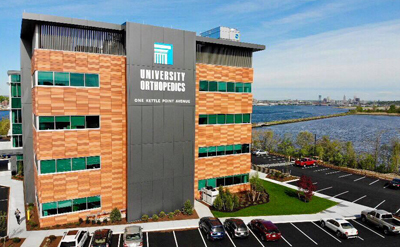 At University Orthopedics, our mission is to provide the highest quality orthopedics care integrated with world class education and research. Our exceptional employees make this possible. We employ qualified talent who take pride in their work and enjoy interacting with patients and physicians every day. We take a team approach at providing incomparable patient focused orthopedic care. Passionate about being part of a team who provides exceptional care. You can handle multiple priorities, you are detail-oriented, able to work independently, and as a team. You have strong interpersonal and organizational skills. You are willing to learn and grow your career with us. We have a growing culture. As our practice grows, with new doctors and partners, our employees grow with them. With more company growth, our employees have the opportunity to grow with us and expand their knowledge. We pride ourselves in promoting from within and providing learning and development opportunities for our employees. Employee Appreciation Events like Quarterly Employee Get-Togethers, UOI Providence Bruins Game, Summer Barbecue, Employee Retreat, and more.